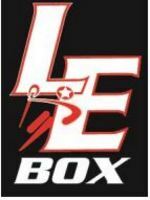 We are excited to announce our LE Elite Box program for this winter. This is only for current LE Elite players in graduating years 2024 through 2019. The program is designed to focus on the elements of Box that transfer to the field game. We will participate in up to 2 tournaments and possibly 1 play day. Training will take place all together, but split the teams up by grade for tournaments based on everyone’s availability. There will be a $125 deposit and then two payments of $250 or you can choose to pay in full during registration. If you have any questions or concerns please contact Marc at marc@dynamicsportsmanagement.com.